We are your advertising company in Shanghai, China. 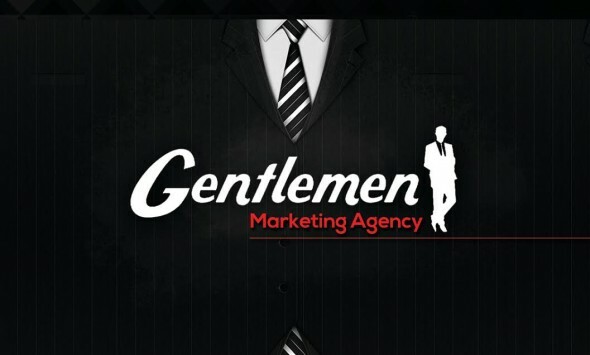 Gentlemen is an advertising company based in Shanghai, China founded by Olivier Verot and Philip Qian. Our company is focused on helping companies that have decided to expand their businesses in China to penetrate and profit in this lucrative market. During the last five years, we have acquired a deep knowledge and expertise of the Chinese market, we understand the habits and behavior of Chinese consumers. Due to our high levels of expertise in the Chinese market, we know how to effectively promote your company and your products in China and how to reach the maximum number of Chinese consumers. We will increase your presence in China and your brand awareness and therefore help you boost your sales in the country. What are our services for the Chinese Market ? We offer full advertising solutions including e-commerce, SEO & SEM, digital PR, community management, e-reputation and branding. E-commerce: Over the last years, E-commerce has rapidly grown in China due to the growing internet penetration in Chinese daily life. We have developed many successful e-commerce projects in different industries. We provide a full e-commerce solution including consulting, market analysis, site set up, store design, platform management and promotion. SEO & SEM Online Advertising: As opposed to Western countries where Google is the most popular search engine, in China, Baidu is the leader with more than an 80% market share. Companies need good visibility on search engines and SEO and SEM strategies are the key to rank well on Baidu. We will choose the most competitive keywords according to your business and your target audience in order to improve your position on search engines. More information here. Our advertising company provides several services such as auditing your website, creating content and designing digital strategy to acquire links. We are an advertising company that understands Chinese consumers and how they use Chinese social media platforms such as Weibo, Wechat, Youku and forums. Due to our wealth of expertise, we know how to increase the presence of companies and brands in China. Chinese consumers have integrated social networks into their daily life, they use them for entertainment but also for communication. Therefore, companies must have a presence on social media platforms in order to reach a huge audience and attract them using the right methods. We will set up an official account for your company or your brand on each social media platform with the aim to communicate and interact with Chinese consumers. In addition, we will design different marketing campaigns to engage consumers on Weibo and Wechat. In China, online reputation is vital because Chinese consumers greatly value a companies’ reputation. We know how to increase your reputation in China and we the skills to control negative comments about your company and your products. Through the creation of press releases we are able to improve your presence in China by disseminating content on the most effective Chinese media sites according to your business strategy. Viral marketing is of huge importance in the Asian giant because Chinese consumers are very sensitive to what makes a buzz. We design and produce the best strategy which we can diffuse across the country. We create high quality videos, photos, and design. We have a specialized and qualified production team who are able to produce attractive and addictive viral videos. If you have a project in China, or if you want to receive more information about the market, don’t hesitate to contact us. We can help you become successful in the Chinese market.